The Envoy Hotel’s decor is a nod to its Innovation District surroundings, often repurposing once-revolutionary technology. Joining the group of design-centric places to call home while visiting Boston, The Envoy Hotel is fully up and running at 70 Sleeper Street in the Seaport, with 136 contemporary guest rooms, all facing the skyline or waterfront. 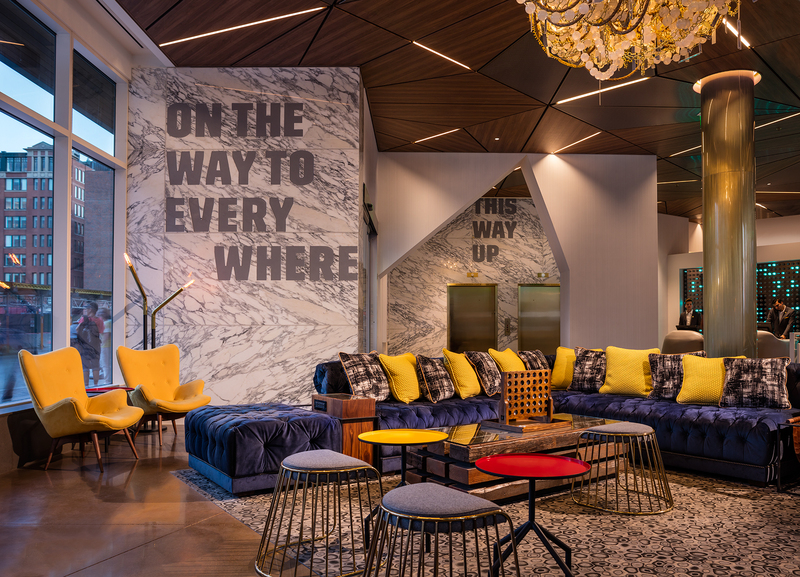 Designed by Group One Partners, Inc., The Envoy’s decor is a nod to its Innovation District surroundings, often repurposing once-revolutionary technology. The communal lobby is lit by an oversized chandelier made from reclaimed rope and phone cords. Behind the check-in desk, a wall of heat-sensing bulbs mirrors guests’ movements.